For other uses, see Truth or Consequences (disambiguation). Truth or Consequences is an American game show originally hosted on NBC radio by Ralph Edwards (1940–1957) and later on television by Edwards (1950–1954), Jack Bailey (1954–1956), Bob Barker (1956–1975), Steve Dunne (1957–58), Bob Hilton (1977–1978) and Larry Anderson (1987–1988). The television show ran on CBS, NBC and also in syndication. The premise of the show was to mix the original quiz element of game shows with wacky stunts. Actress Buff Cobb as part of a 1949 stunt for the radio program. The daily syndicated show was produced by Ralph Edwards Productions (later Ralph Edwards/Stu Billett Productions), in association with and distributed by Metromedia Producers Corporation (1966–1978) and Lorimar-Telepictures (1987–1988). Current rights are owned by Ralph Edwards Productions and FremantleMedia. On the show, contestants received roughly two seconds to answer a trivia question correctly (usually an off-the-wall question that no one would be able to answer correctly, or a bad joke) before "Beulah the Buzzer" sounded (in the rare occasion that the contestant answered the question correctly before Beulah was heard, the question inevitably had two or even three parts). If the contestant could not complete the "Truth" portion, there would be "Consequences," usually a zany and embarrassing stunt; the contestants' involvement in these stunts, and the audience reaction, earned the observation from Edwards about himself and his producers saying, "Aren't we devils?". From the start, most contestants preferred to answer the question wrong in order to perform the stunt. Said Edwards, "Most of the American people are darned good sports." A popular segment on many episodes of was an emotional surprise for a contestant, that being reunited with a long-lost relative or with an enlisted son or daughter returning from military duty overseas, particularly Vietnam. Sometimes, if that military person was based in California, his or her spouse or parents were flown in for that reunion. During Barker's run as host, a side game, "Barker's Box", was played at the end of the show. Barker's Box had four drawers; three contained money, while a pop-up "surprise" was in the fourth. The contestant chose one drawer at a time and won the money in each. The game ended if the contestant found the surprise, while avoiding it awarded a bonus prize. Barker traditionally ended each episode with the phrase, "Hoping all your consequences are happy ones." In one 1994 episode of The Price Is Right, he started to deliver that closing, but caught his mistake and covered it by saying "hoping all your...prices are right! ", instead of his familiar "Have your pets spayed or neutered" line he was best known for using at the time. Ralph Edwards stated he got the idea for a new radio program from a favorite childhood parlor game, "Forfeits". The show premiered on NBC Radio in March 23, 1940, and was an instant hit with listeners. Truth or Consequences was the first game show to air on broadcast television, airing as a one-time experiment on the first day of New York station WNBT's commercial program schedule on July 1, 1941. However, the series did not appear on TV again until 1950, when the medium had caught on commercially. In the late 1940s, Hot Springs, New Mexico agreed to host a T or C radio episode, resulting in the community renaming itself to Truth or Consequences; it still continues to use that name today. The program originated as a prime time series, airing on CBS from September 7, 1950, to May 31, 1951, hosted by Edwards. Three years later, it returned on NBC with Jack Bailey (of Queen for a Day fame) as host, this time running from May 18, 1954, to September 28, 1956. Only three months after its demise, NBC launched a new daytime version on December 20 of that year, with radio personality Bob Barker at the helm. This run not only marked the start of a hugely successful TV career for Barker, but also became the longest-running incarnation of Truth or Consequences yet, airing until September 24, 1965. During Barker's run, another prime time version was attempted, this one with actor Steve Dunne emceeing, which ran on NBC from December 13, 1957, to June 6, 1958. Edwards pioneered several technologies for recording live television programs. When Truth or Consequences established a permanent presence on TV in 1950, Edwards arranged to have it be recorded on 35mm film, using multiple cameras simultaneously—the first TV program recorded before a live audience to do so. A similar process was then adapted by Desilu for I Love Lucy the following year. On January 22, 1957, the show, which was produced in Hollywood, became the first program to be broadcast in all time zones from a prerecorded videotape; this technology, which had only been introduced the previous year, had previously been used only for time-delayed broadcasts to the West Coast. In 1966, Truth or Consequences became the first successful daily game show in first-run syndication (as opposed to reruns) to not air on a network, having ended its NBC run one year earlier. This version continued through 1975. In the fall of 1977, a syndicated revival titled The New Truth or Consequences premiered; because Bob Barker had already agreed to take over The Nighttime Price Is Right from Dennis James, he was unavailable and Bob Hilton took over hosting. However, this version did not click in the ratings and was cancelled after a single season. A decade later, Truth or Consequences returned in syndication for the 1987-88 season, this time with actor Larry Anderson as host, assisted by Murray Langston (better known as "The Unknown Comic" of The Gong Show fame). This effort also failed to attract audiences and was gone after one season. Truth or Consequences, New Mexico is a setting featured in a two-part episode of the British science fiction series, Doctor Who, "The Zygon Invasion" and "The Zygon Inversion", first broadcast in 2015. In the storyline, the origin of the town's name is discussed, with the game show referenced, and the concept of "truth or consequences" is a major plot element. In October 2012, The Gurin Company bought the license of the show from Ralph Edwards Productions in order to make an updated version along with the possible reboot of Treasure Hunt and was currently[when?] shopping for networks to buy it. Phil Gurin says that "Truth or Consequences is a great collection of game, stunt, hidden camera, reunions, surprises, strange talents and unique guests" as "It's just a really fun show. We're taking the original show and making it bigger". In addition, he says that "What's amazing, looking at older episodes, is that most people would answer the 'truth' questions incorrectly in order to subject themselves to the consequence." He also said that "People want to perform the stunt, which always makes for good TV. Add an unexpected reunion with a family member, or a surprise from someone in the past, and the show tugs at your heart strings". ^ "Ralph Edwards," Current Biography 1943, p192, 193. 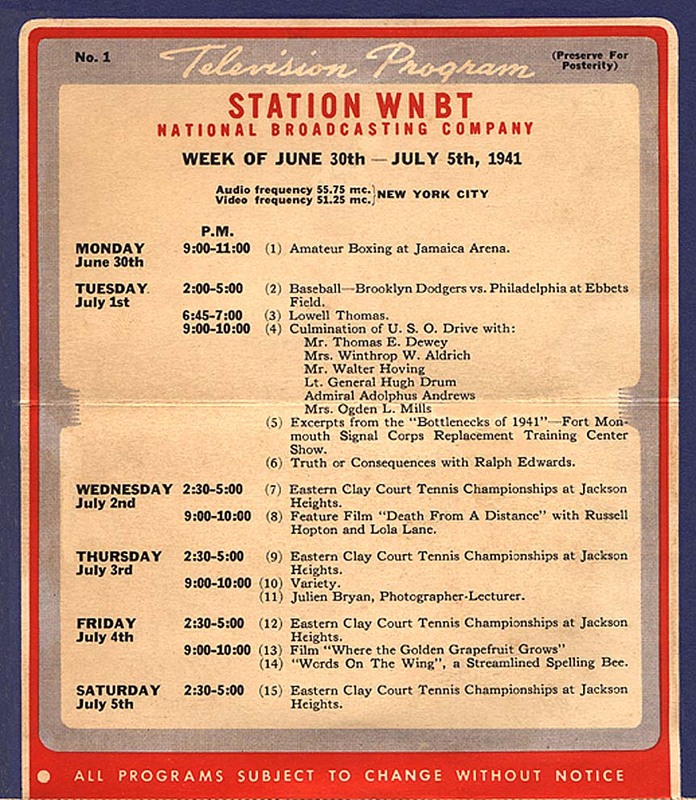 ^ "Station WNBT Week of June 30th–July 5th, 1941". Retrieved 10 January 2012. ^ Ralph Edwards discusses the details of the process in a 1997 interview conducted by the Television Academy Foundation, http://www.emmytvlegends.org/interviews/people/ralph-edwards . ^ "Daily N.B.C. Show Will Be on Tape", The New York Times, Jan. 18, 1957, p. 31. ^ Schneider, Michael (4 October 2012). "Exclusive: Oh Sit! Producer Brings Back Game Shows Truth or Consequences, Treasure Hunt" – via TV Guide.